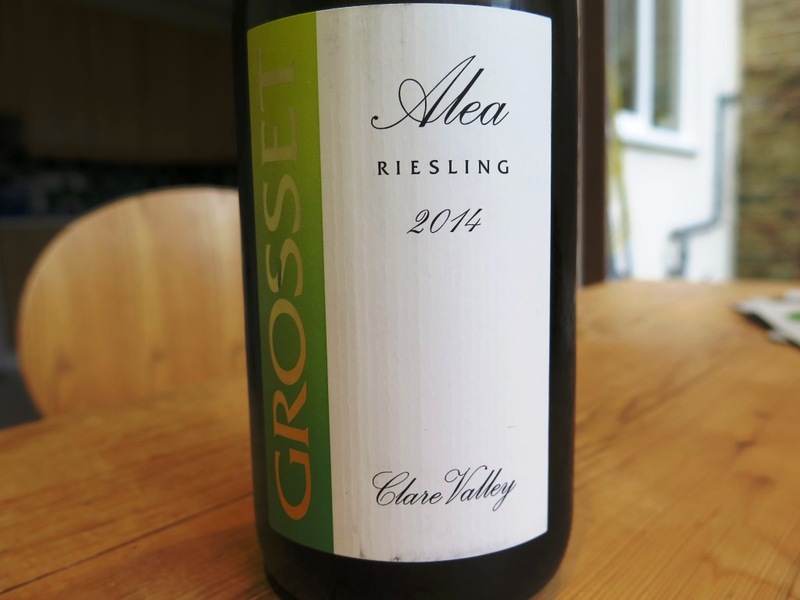 A summary of Oz’s Wine Reviews from January, February and March of 2016. 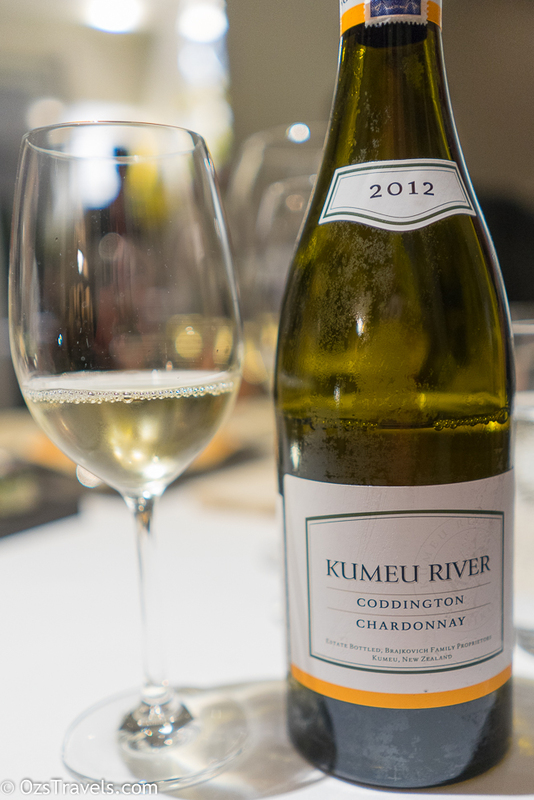 Comment: Another great Chardonnay from Kumeu River. Still very bright and youthful, will continue to improve with age. Well worth a look or four! 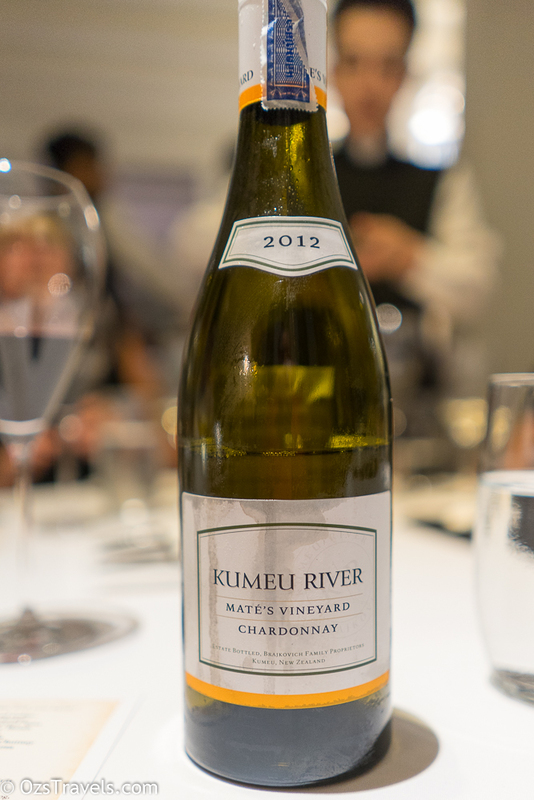 Comment: Very nice wine, not as good as the Mate's Vineyard, but still worth a look. Comment: Great wine, lots of fruit with a great finish. Interesting mix of grapes, my first Clairette Blanche. 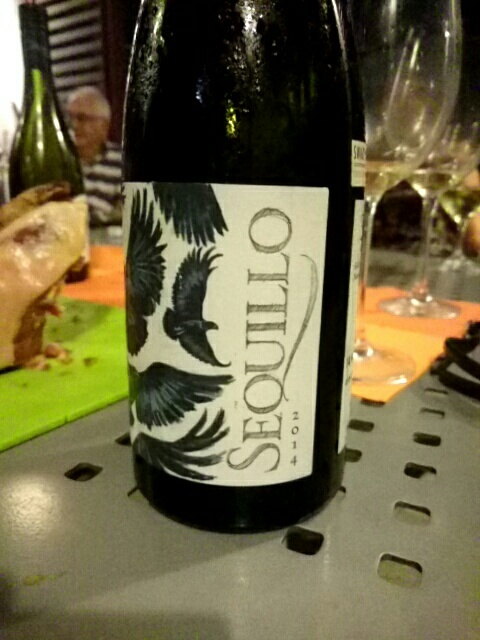 Comment: Interesting wine, enjoyed it, drinking well now. 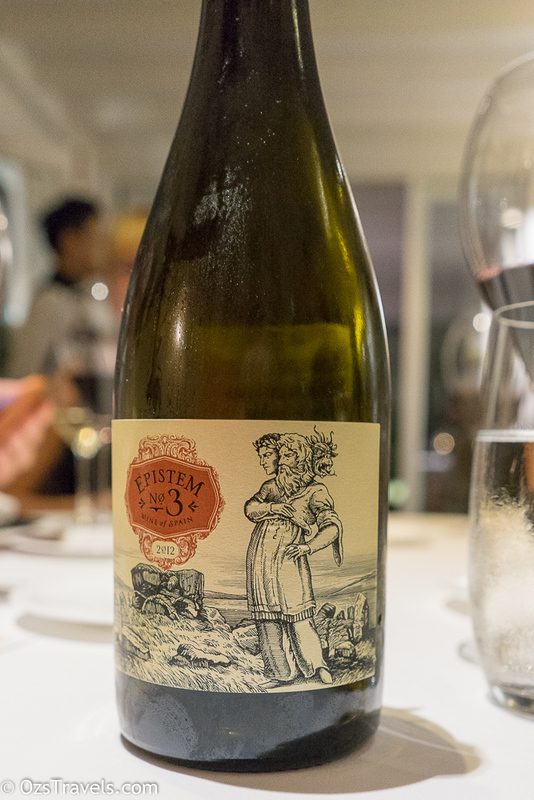 Comment: Very enjoyable wine that has evolved nicely and will continue to for a few more years. Definitely worth a look. Obviously some bottle variation as my last tasting of this wine was not as enjoyable. 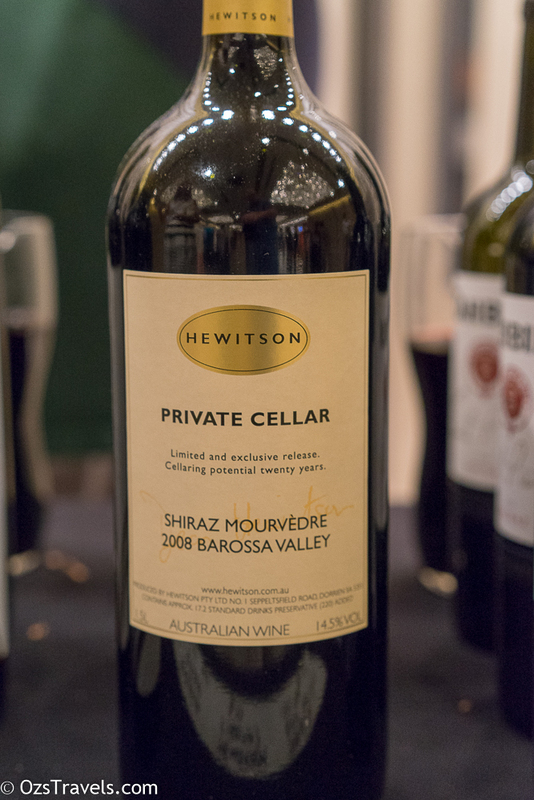 Comment: A good example of Margaret River Cabernet, definitely a great BBQ wine. Drinking well now. 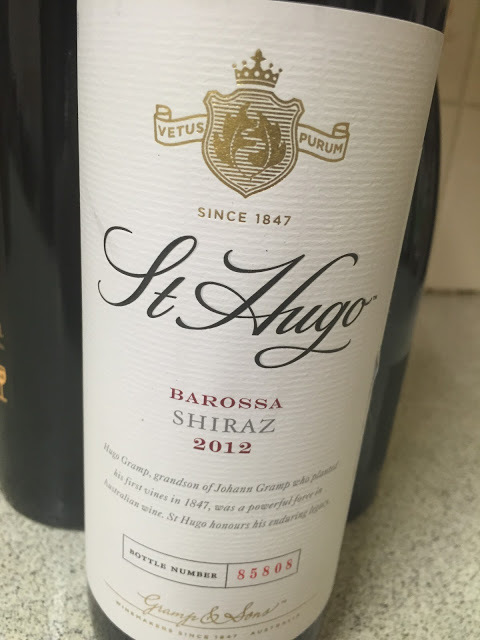 Comment: Another great Shiraz from the Barossa Valley, aging gracefully, still has more years in it. 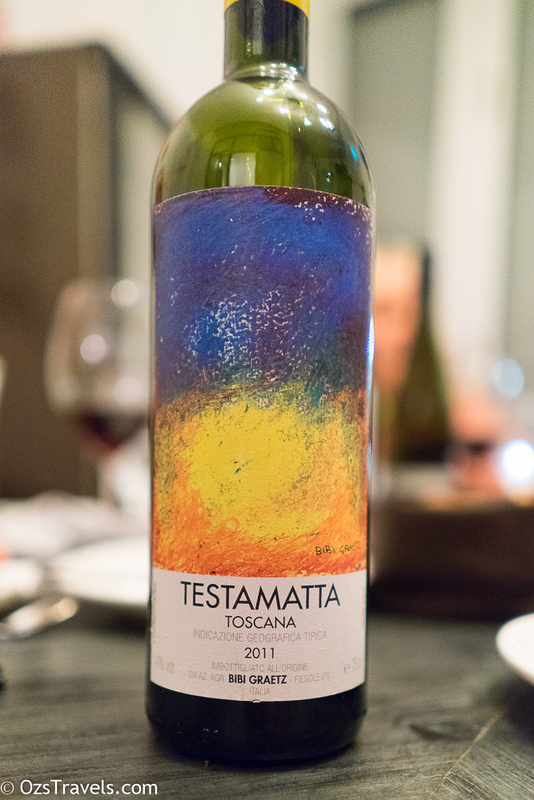 Comment: A decent Tempranillo, silky tannins with an enjoyable long finish. 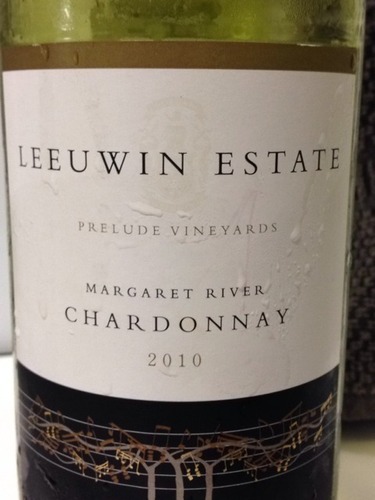 Comment: A great wine, really enjoyed this. 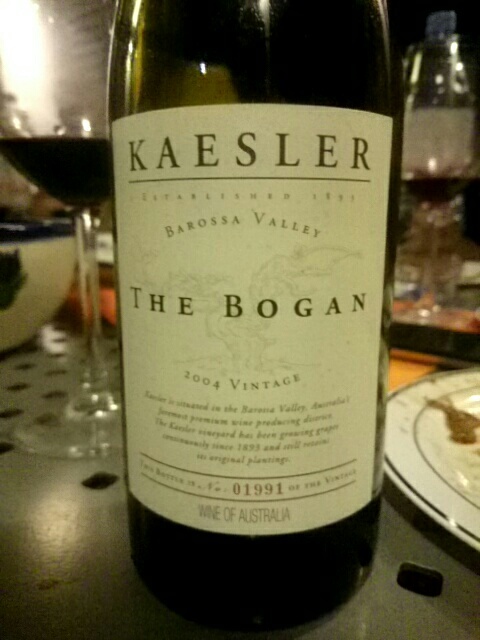 A good example of an Australian cool climate Shiraz. Hope I get to try this again, soon! 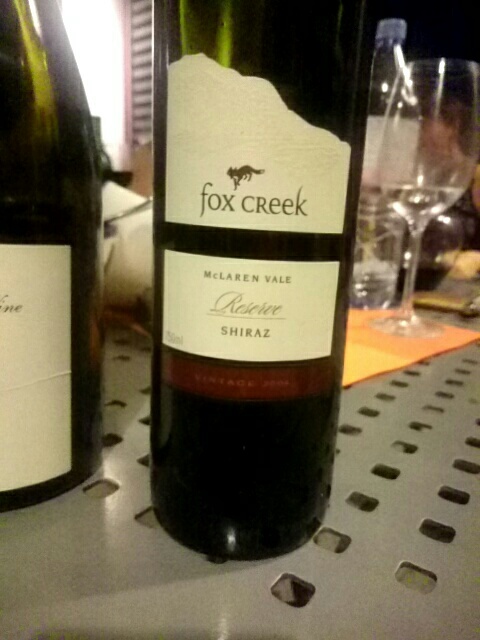 Comment: IMHO McLaren Vale is one of the regions in South Australia that does not get enough recognition, Fox Creek is one of the best wineries in the Vale and their Reserve wines are usually very good, this was no exception, loved the finish. Comment: Great wine, shows why Penfolds are one of the best wine makers in Australia and why the Adelaide Hills produces some of the best Chardonnays in Australia. Bin A wines are definitely worth a look! 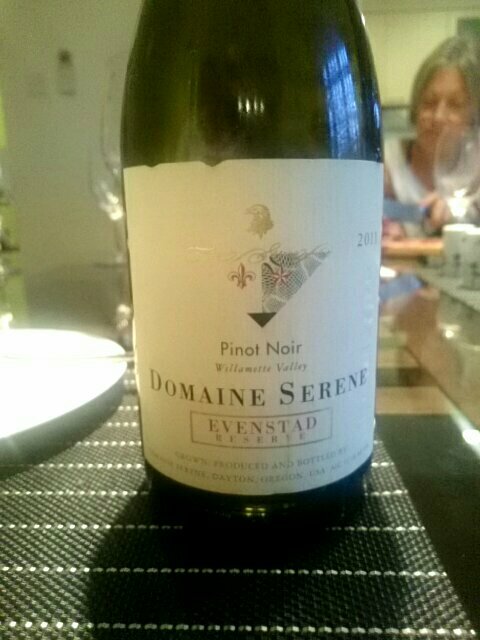 Comment: Very enjoyable, lighter style of Pinot Noir. Nicely balanced, tannins were a little dry, like the finish. 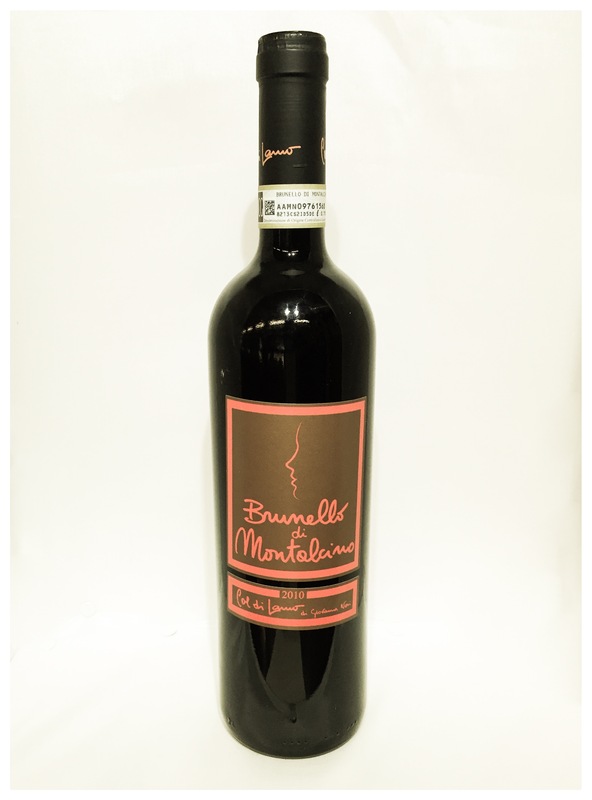 Comment: Really liked this wine, interesting and moreish mix of wild berries, cherries and spice with a balanced and bold palate. Worth a look, if not a few. 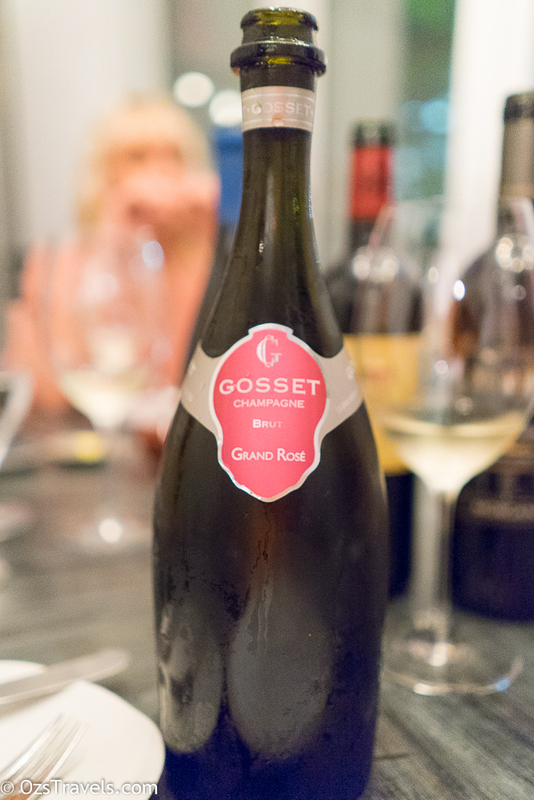 Comment: Great wine, surprised everyone at the dinner, another star produced by Geoffrey Grosset. The various varietal characteristics are easily found. 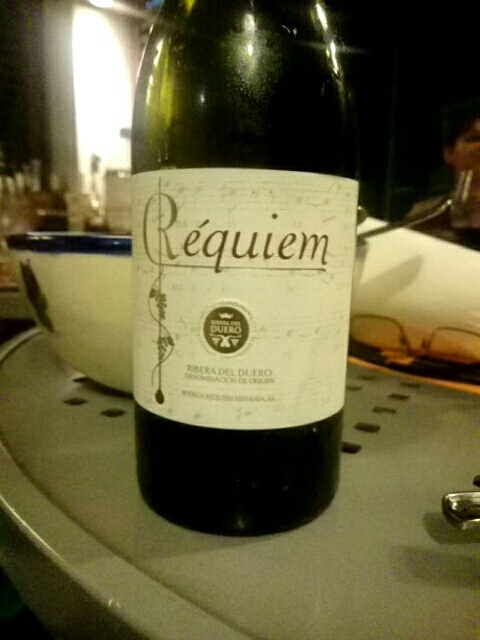 This was my wine for the wine options game. 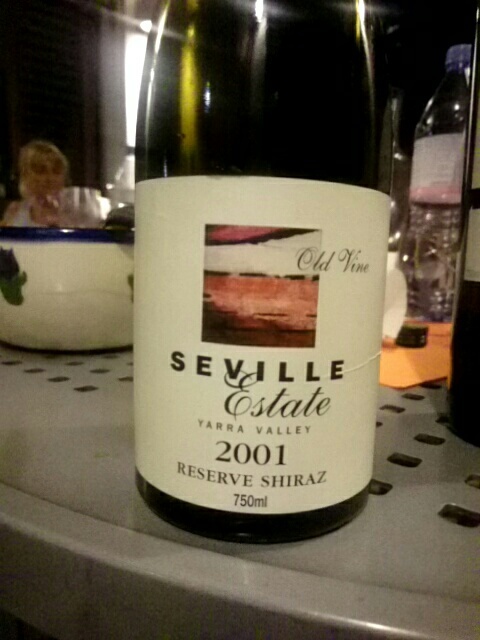 Comment: What an amazing wine. 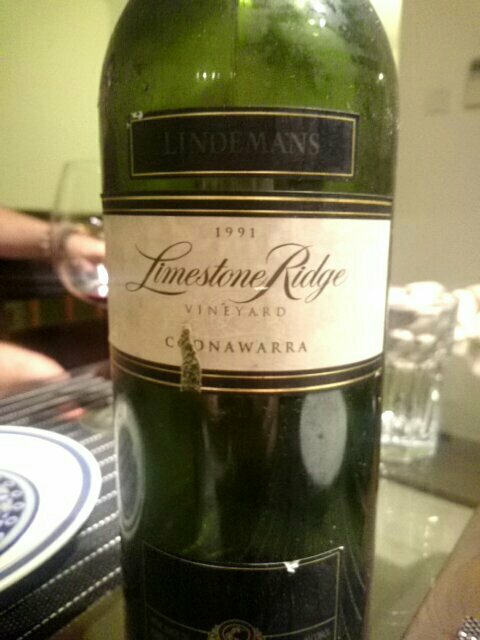 At 25 years of age this wine has evolved and is still showing the characteristics of the Coonawarra and the varietals. 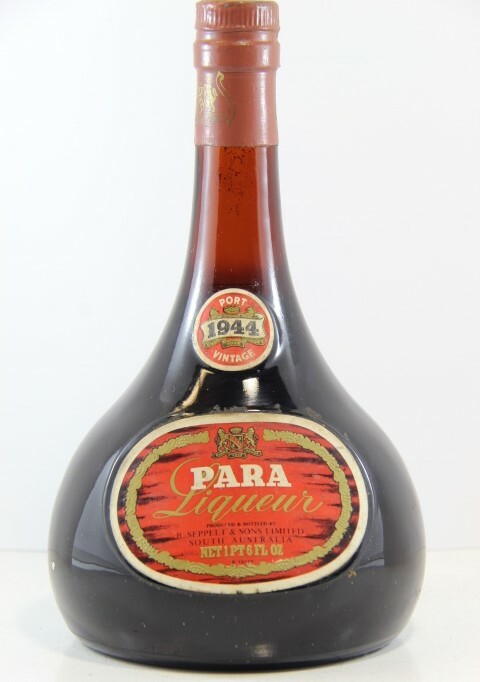 Comment: Unfortunately the cork in this bottle had failed, first sign of trouble, Para Ports from this era had extremely short corks which are prone to failure. Luckily for me this is the first of the Para Ports that I have purchased that this has happened to and I still have a few more, so hopefully it will be the last one. 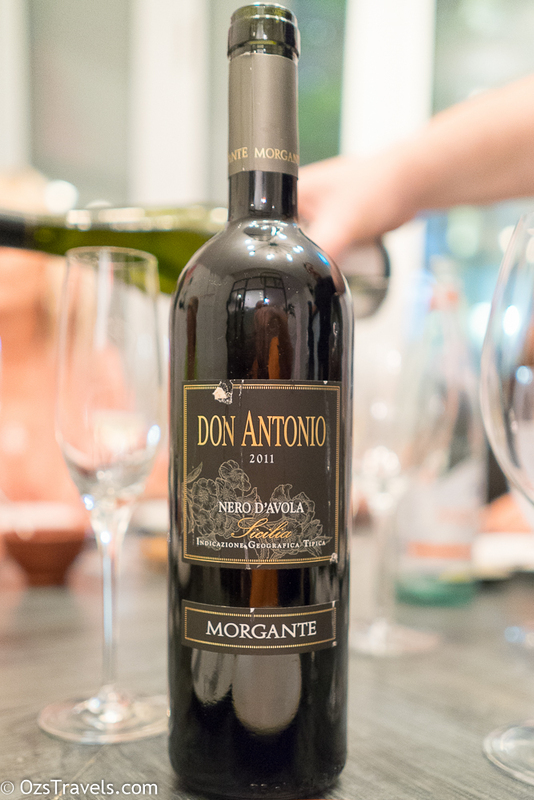 Comment: Very popular, all of the tasting bottles were finished well before the other wines. 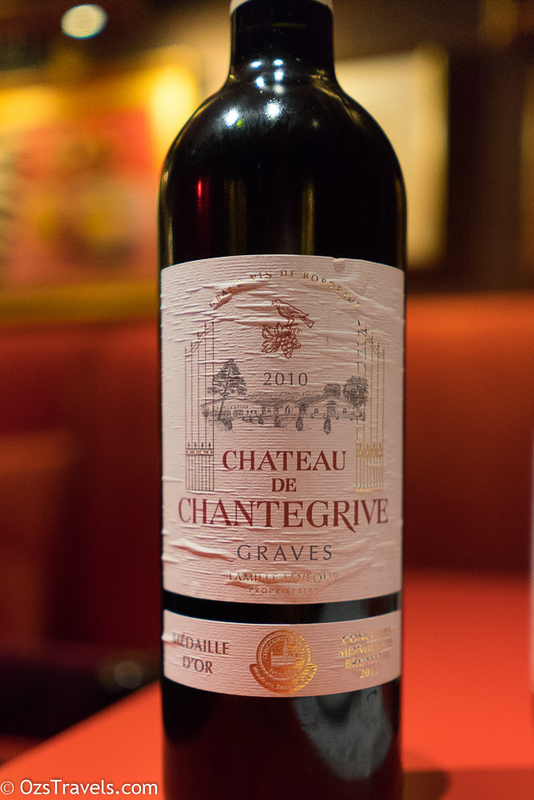 Comment: Great wine, took a bit of encouragement to get people to try it, well not too much! Really like the balance and structure. A good value wine considering its quality. 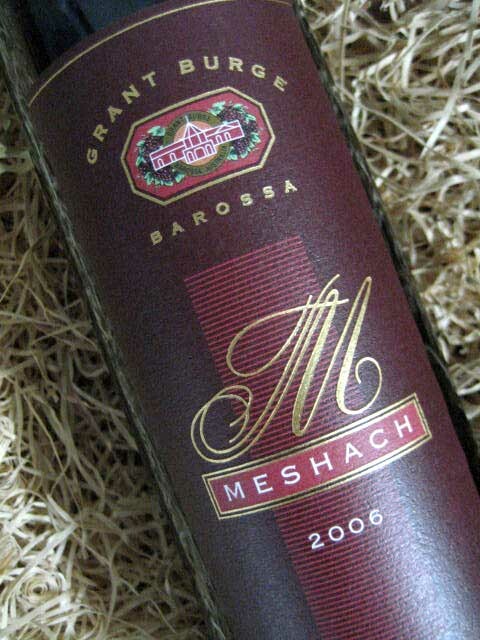 Comment: Meshach is usually a great wine when given time to age and this will be no different but, IMHO, this vintage is still young. 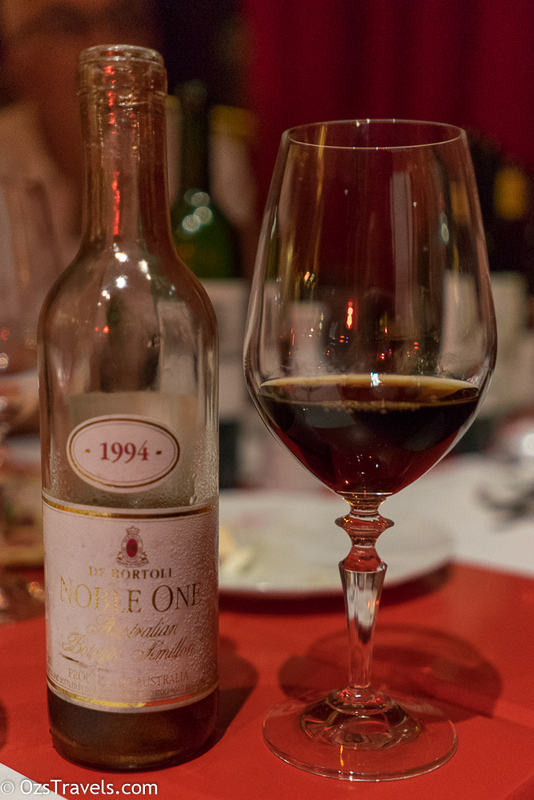 This was the wine that divided people, they either liked or disliked it, there was no middle road. Expecting this to be a great wine when it reaches maturity. 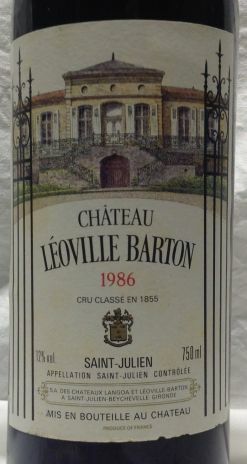 Comment: Great wine, was amazed at how many people were worried about the bottle size, but it was another very popular wine. 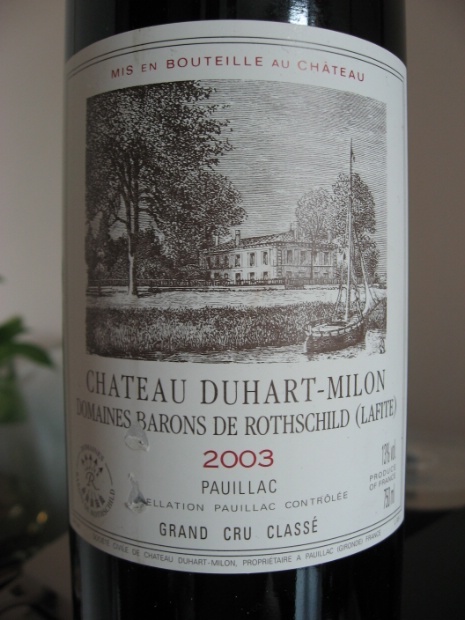 Good balance of fruit and spice, with savoury tannins and luxurious long finish. This is still quite young and will repay patience, if you can wait, if not, enjoy!! 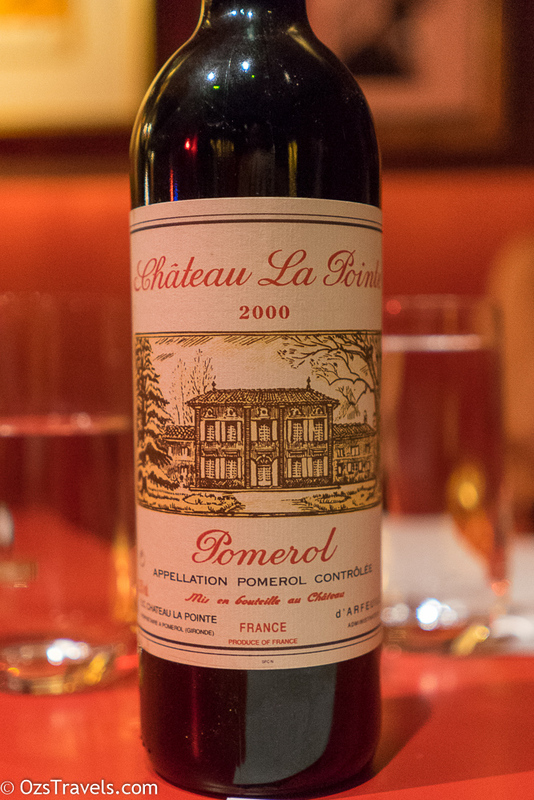 Comment: This was least popular wine on the night. IMHO I believe that it was overpowered by the company. 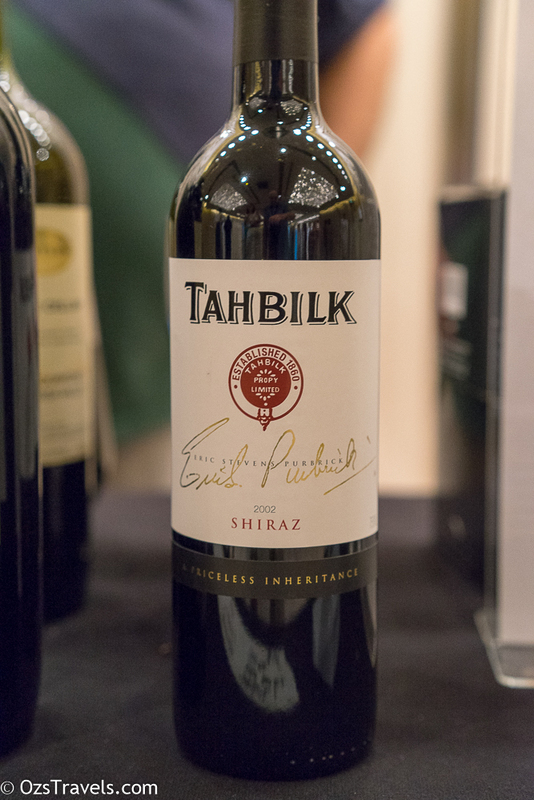 Known as the wine that really established Tahbilk as a producer of merit. 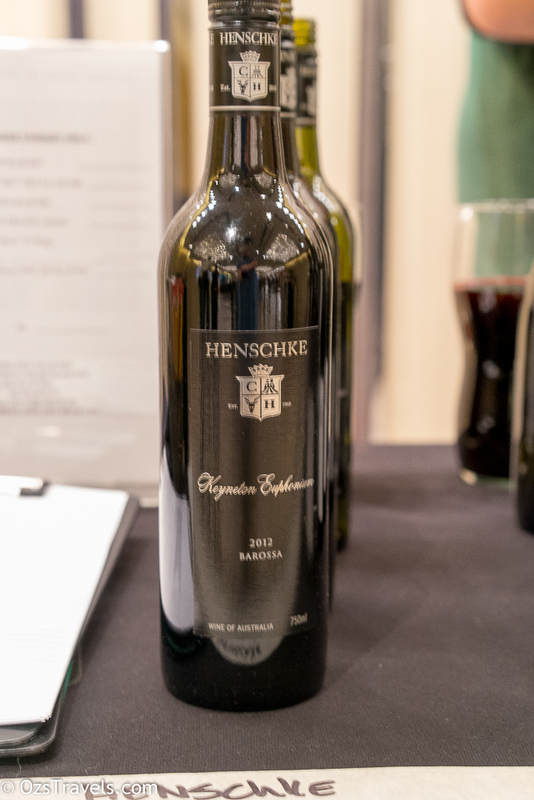 Subsequent vintages are apparently improving, therefore they must be pretty good, as this is a very good cool climate Shiraz. Enjoyable, bright, balanced flavours, nice acid, no heat considering the alcohol. 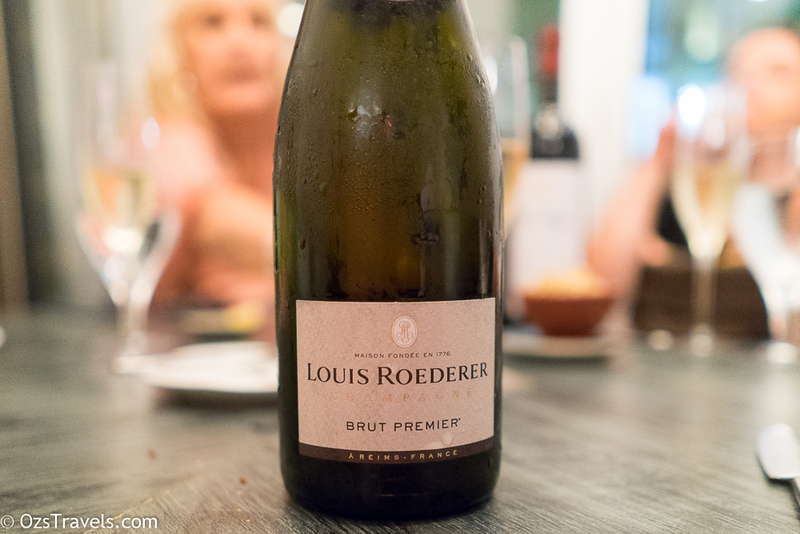 This wine was our pre-dinner drink which we had before we arrived at Gaggan. 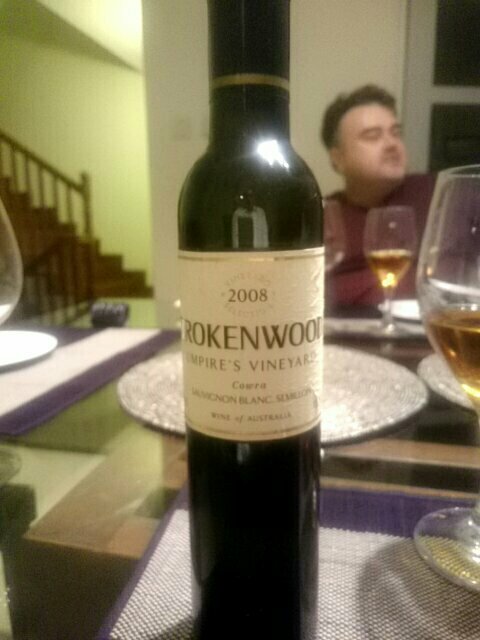 Great wine, paired very well with the Bites from India. 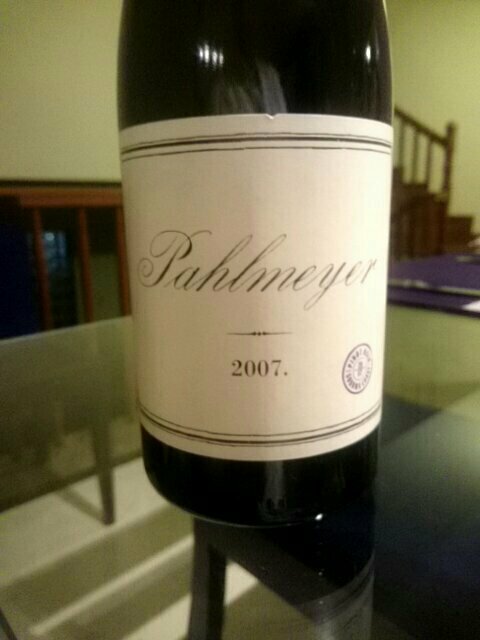 Another good selection by the Gaggan Sommeliers, this had just the right body to pair nicely with the lamb and was also not to heavy to have with the pig. 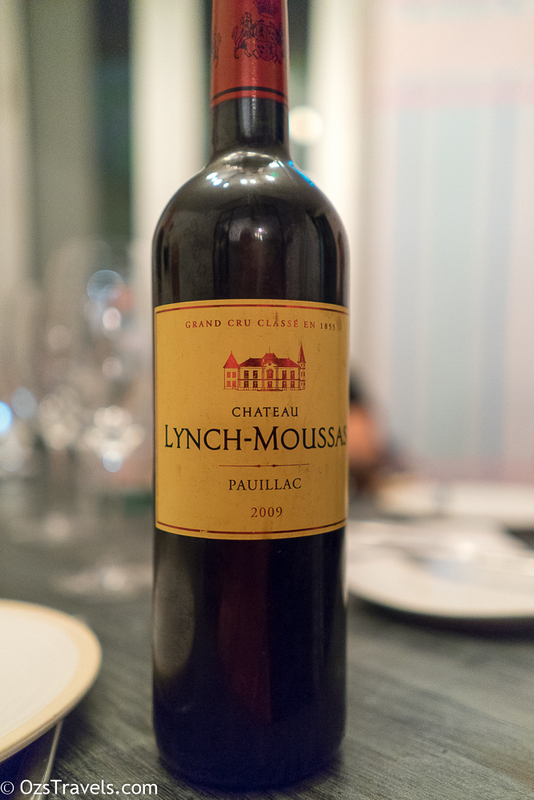 A medium-bodied wine, just what we needed to finish of the wines. Probably would have paired well with the Fall Season dessert, but I had finished it off by then! 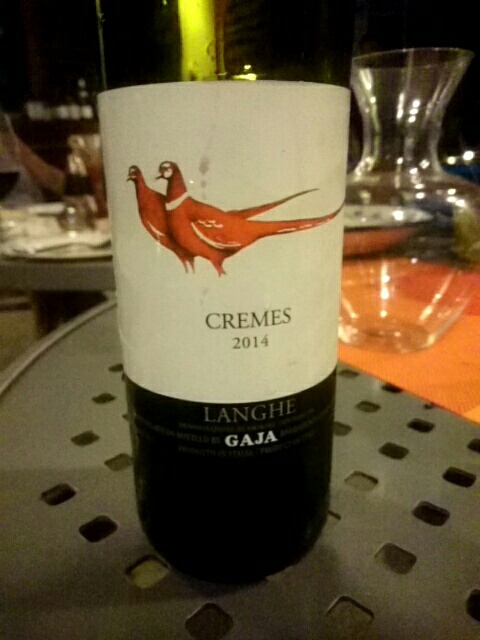 Great wine and at a very reasonable price, around AUD20 / bottle. 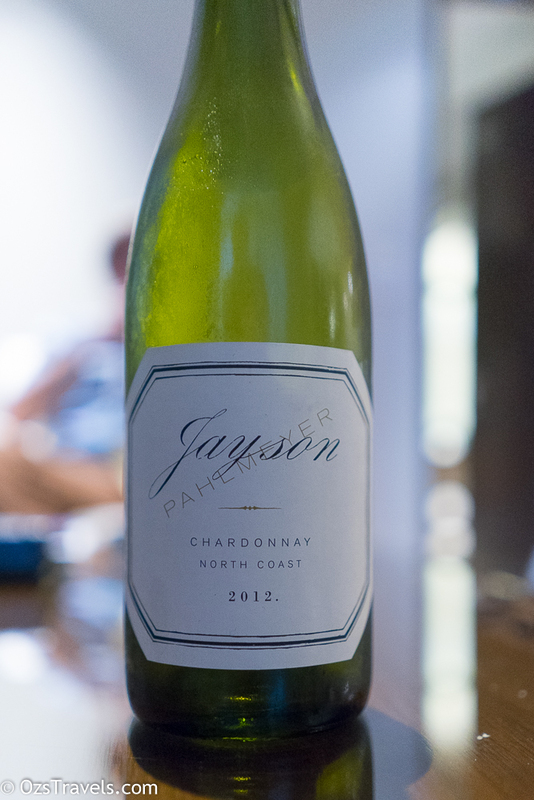 Very savoury and would go great with some fresh oysters or razor fish. FYI, in 2009 it was first discovered that grape growers and wine makers in Australia have been supplying and selling Savagnin wrongly labelled for several years. They thought they were pouring money into the market for the Spanish albarino grape, only to discover this is not the case. From 2009 vintage onward these wines have been labelled Savagnin. 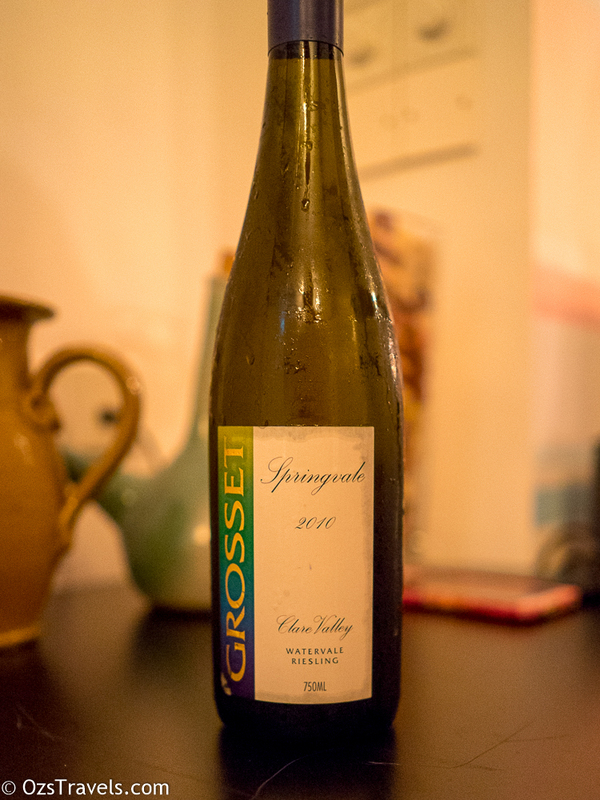 A visiting French expert raised questions in 2008, and DNA testing confirmed that the grapes are in fact Savagnin sourced from Spanish cuttings. The variety itself may have originated in Spain or France. BK Wines was established in 2007 by Brendon and Kirstyn Keys. The goal has been to create fabulous art. Beautiful, unique, sensuous, deceptively minimalist, envelope pushing art. After learning from masters in NZ, Argentina and California, BK Wines trained their sights on the Adelaide Hills because it's just a cracking great place to live and make wine. 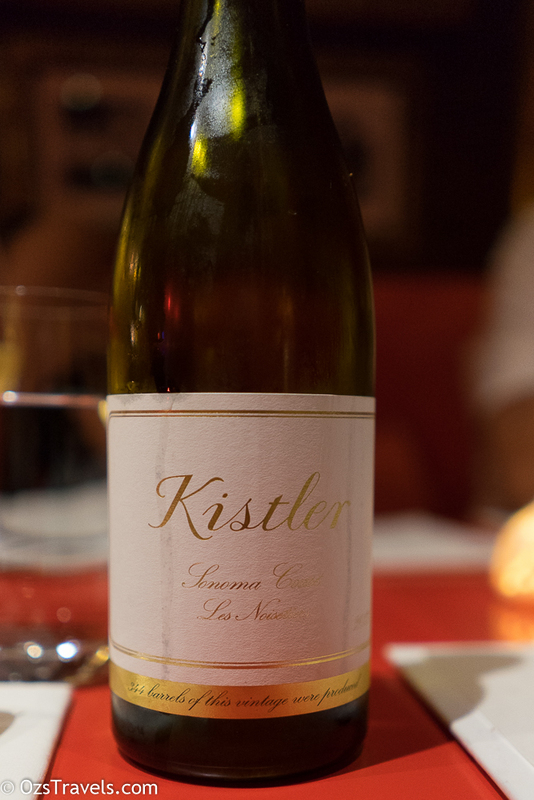 With no pretentions to be somewhere it's not and few preconceived notions about what wine styles to expect, this is a place where non-conformity is the rule. BK Wines winery is situated in Lenswood where it is tucked away surrounded by bush land and vines. BK Skin 'n' Bones White is made from the Savignin grape variety grown in the cool climate Adelaide Hills and has been aged in French oak. As the finish tapered off the tannins built, whilst this was an ok wine, have tried better Australian Tempranillos in the past. 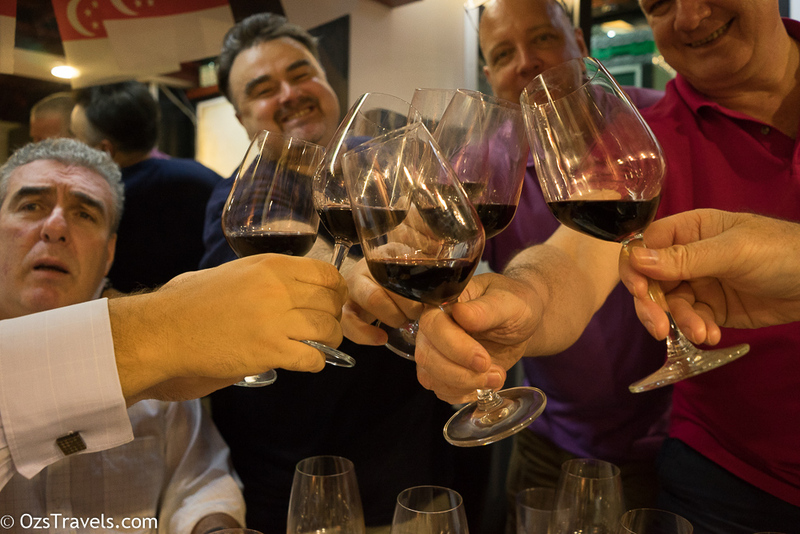 Would give it another look "La Linea is a partnership of several experienced wine industry professionals, including Peter Leske and David LeMire MW. 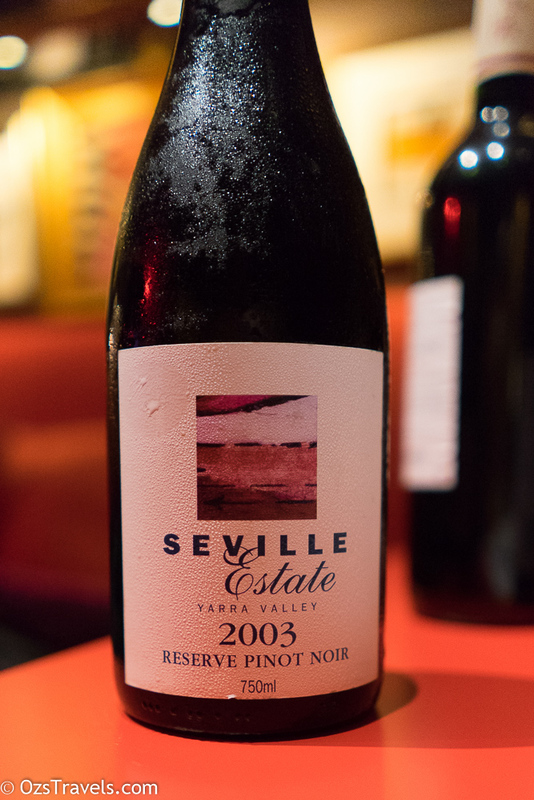 Peter was among the first to recognise the potential of tempranillo in Australia, and his knowledge of it is reflected in the three wine styles made from the variety: Tempranillo Rose, Tempranillo blended from several Adelaide Hills vineyards, and Norteno, from a single vineyard at the northern end of the Hills." James Halliday Wine Companion 2016. 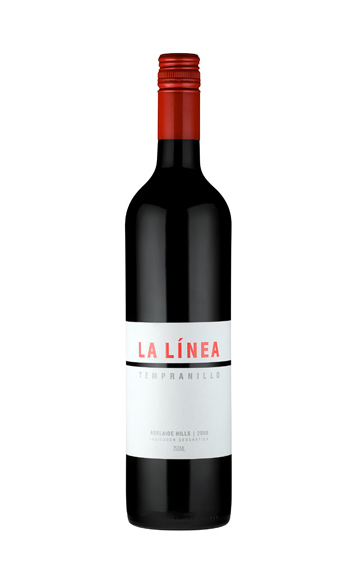 The 2014 La Linea is a blend of two principal vineyards. The majority (53%) is from Kersbrook in the north of the Adelaide Hills; the balance is predominately from a slightly younger and cooler site, just south of the village of Gumeracha. The aim from the outset was to make a wine that speaks of the variety and region, which means a fragrant, medium-bodied but savoury style. La Linea Tempranillo spends approximately nine months in French oak barrels for evolution and maturation of the relatively firm tannins, the youngest of them is three years old and the oldest, a decade. Aroma: Reminded me of stewed fruit, not what I was expecting, apricot and peaches. Flavour: Elegant and balanced combination of lemon, lychee and lime with a slightly sweet finish. Aroma: Restrained mix of butter, nectarine, peach and (for want of a better descriptor) match head / sulphur. Flavour: Tart mix of cherry, mineral and "chalk"
I did not enjoy this wine, guess it needs more age, but found it too tart for my liking. Will it another try when it has some more age. 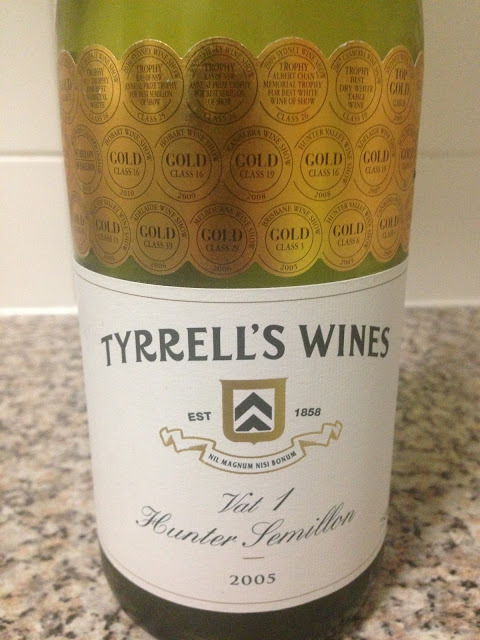 FYI the use of Barossa instead of Barossa Valley to define the appellation of the wine indicates that the juice has been sourced from both the Barossa and Eden Valleys Established by the Lindner family in 1944 St Hallett's initial focus was the production of fortified wines. 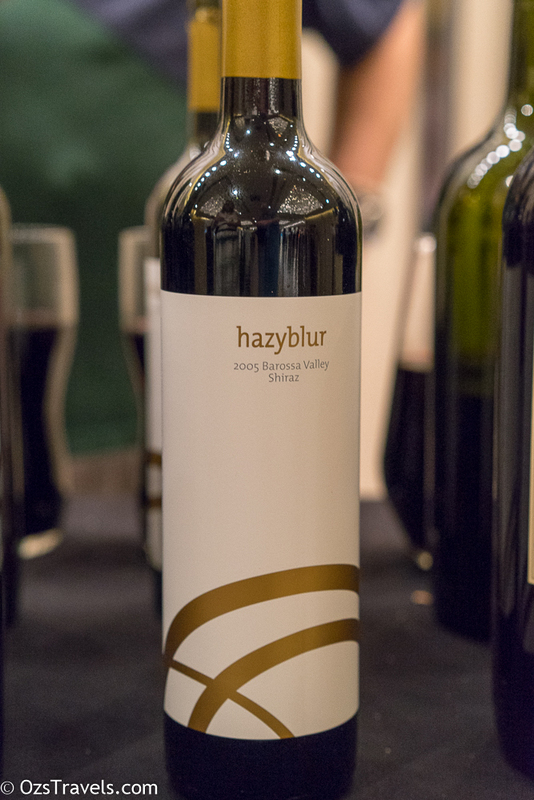 The first vintage of Old Block Shiraz in 1980 and its success, accelerated a shift of focus towards the premium table wines St Hallett has become renowned for ever since. The average age of the vines over the 30 year history of Old Block is 88 years. Low yielding and on own roots, these vines delve deep into multiple layers of should and speak volumes of the place they are grown. 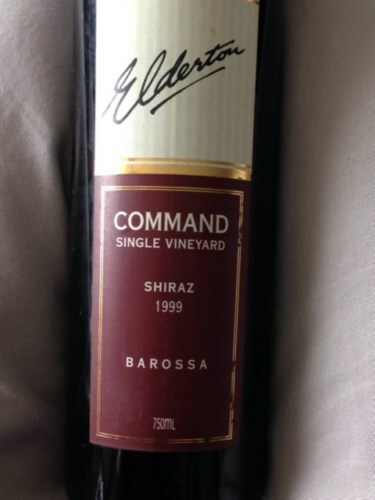 Vineyards are located in Barossa Valley and Eden Valley from a number of loyal growers. The St Hallett winemaking philosophy is relatively simple - minimise the intervention and maximise the attention. 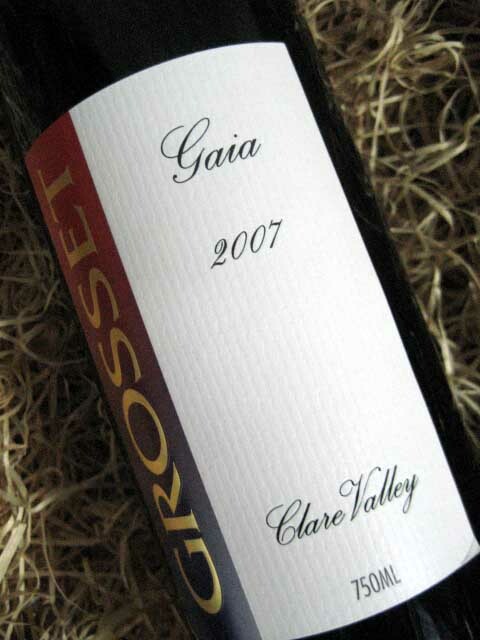 This Shiraz is matured in French oak with a mixture of new, second and third use barrels. All barrels are individually assessed at final blending to ensure absolute quality. Whilst this is way too young, I still enjoyed it. Looks like 2012 was another great vintage in the Coonawarra. Wynns Coonawarra Estate was founded by Scottish pioneer John Riddoch, who planted vineyards in 1891 and built the estate's iconic gabled winery. In 1951 Melbourne wine merchants Samuel and David Wynn purchased Riddoch's original vineyards and renamed the property 'Wynns Coonawarra Estate'. They created the famous label that has made John Riddoch's winery one of Australia's most iconic buildings. First made in 1982, the John Riddoch Cabernet Sauvignon was conceived as a flagship wine for Wynns. 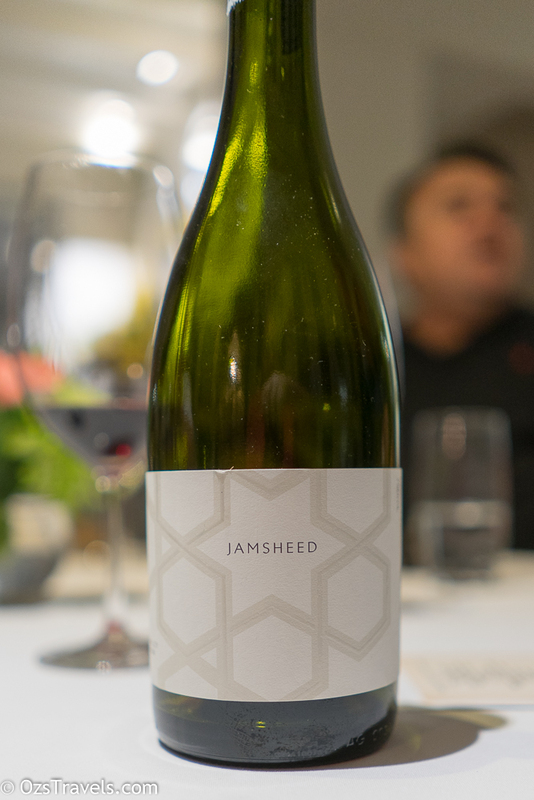 John Riddoch Cabernet Sauvignon is made in small quantities from the best available fruit grown on the estate's extensive Cabernet Sauvignon planting in the heart of the terra rossa soil. This John Riddoch Cabernet Sauvignon was matured fro 16 months in French oak which is 30% new oak. A great drink to start off the night! 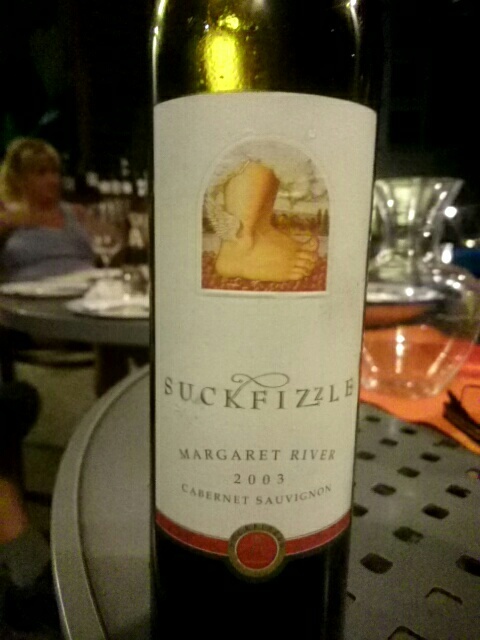 This an interesting style of wine. From exceptional vintages over the past decade Warrenmang has kept aside the basket pressings of Pyrenees Shiraz and Cabernet Sauvignon. They then blend in the Dolcetto in the best barrels of wine where it is aged until it is time for bottling. 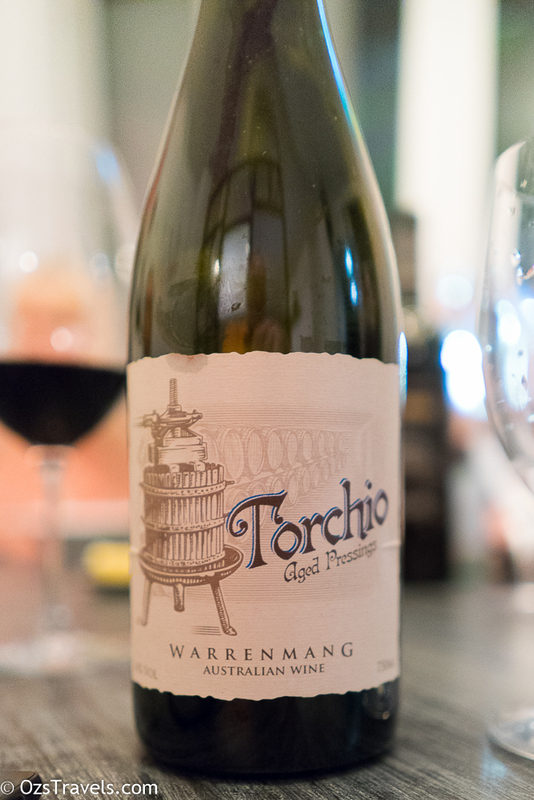 This was my wine of the night, no heat from the alcohol, very balanced with an enjoyable finish.